You spend a good part of your day in your car; with Quick Detailer Interior Finishing you may keep it clean in an easy, quick fashion. It is the quickest way to safely clean internal plastic, vinyl, leather, rubber or metal surfaces and even LCDs or navigation monitors. 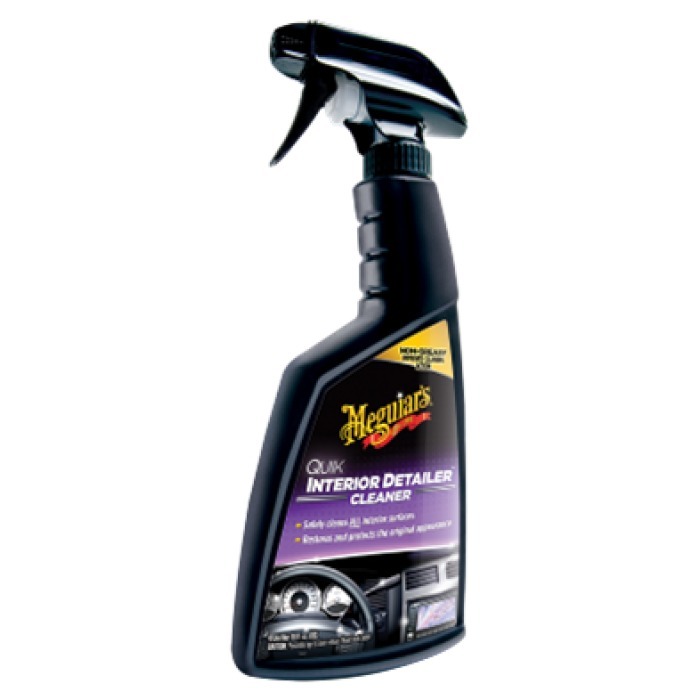 Its mild, self-lubricating formulation quickly removes dust, dirty, grime and spilled liquids, restoring the original aspect of all internal surfaces.